Firefighters across the nation are using Propane Emergencies to learn how to respond before the fire bell rings. In some areas, concerns over the dangers inherent in the transportation and use of propane as a fuel source create an adversarial relationship between those who promote its productive benefits and those who fear its destructive potential. Marketers don’t exactly welcome safety inspectors to stay for lunch with the office staff; distrustful firefighters and hazmat crews aren’t quick to solicit marketer input during an emergency involving propane. Too often, the two sides meet for the first time at the scene of a tank spill, fire or bobtail rollover. 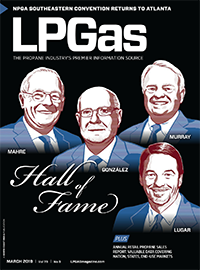 Three years ago, the propane industry took a bold step to change all that by creating an aggressive, new safety training program that reaches directly to the safety forces who respond to propane emergencies. Backed by the financial muscle of the Propane Education & Research Council, the National Propane Gas Association sent its Propane Emergencies training curriculum free of charge to every propane retailer and fire department in the United States. The centerpiece of the multi-media training program is the 220-page, illustrated text book. The massive undertaking includes a 220-page, illustrated textbook on how to safely respond to all types of propane emergencies. There also is a facilitator’s guide with instructor lesson plans, a companion video and an interactive website. The material covers the physical properties of propane, design and construction features of both bulk and non-bulk propane containers, typical emergency scenarios and tactical guidelines and considerations. Some of the material is familiar to the propane marketers, but not to firefighters. Other parts are known to the firefighters, but not to propane marketers. An interactive web site at www.propanesafety.com offers instruction as well as user feedback. The program kicked off with three simple goals: increase the level of responder safety; improve their efficiency to mitigate the emergency; and encourage propane retailers and their local fire service to develop a working relationship long before they arrive at an accident site. According to those in the field, the project has more than met those goals. In fact, it is being held out as a model for other hazardous materials industries. Elizabeth Gardner’s job is to coordinate all of the details of getting Propane Emergencies up and running at the grass roots levels in individual states. Working for a private contractor that has been hired to facilitate the program, she’s not shy in her assessment of its success. “I think it has had more impact and is more popular than anybody ever imagined because of the response from the firefighter level,” she says. The numbers bear out her enthusiasm: To date, 83,000 textbooks have been distributed with 21,000 more expected this year. About 12,000 brochures, 8,000 guides and 3,000 CDs have also been sent to the front lines. The web site (Propanesafety.com) is getting 250 visitors per day. Demonstrations of live propane fires are featured on the Propane Emergencies training video. Additionally, 1,000 certified fire instructors and 200 propane marketers have been trained to teach the curriculum to others. “I think propane marketers don’t have any idea how grateful the fire service is for this program. It’s too bad that there never will be that understanding. But certainly at the grass-roots level, the hazmat teams and fire chiefs are thrilled with the idea that the propane industry went out of its way to provide not just a curriculum but actual training and a web site that is both accessible and free of charge,” Gardner says. One reason Propane Emergencies has gotten such a warm welcome is its credibility. It’s not built as a puff piece for the propane industry; it straightforwardly addresses real-life scenarios that threaten the lives of emergency responders who aren’t familiar with the properties and tendencies of the gas. It’s also flexible. Since many fire departments have their own safety training material, Propane Emergencies serves as a cookbook. Safety forces can take only what they need to supplement their program. The material covers all types of scenarios from bulk plants to backyard barbeque grilling. Eighteen states have adopted Propane Emergencies as their official training curriculum. By 2003, the number is expected to reach 25. 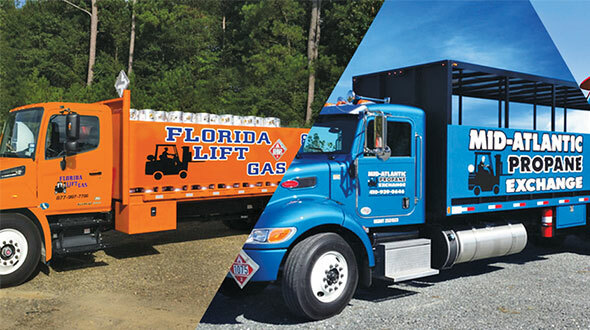 Two states – Ohio and Kentucky – have been so successful with their Propane Emergencies training programs that they’ve won PERC’s Milford Therrell state grant of the year award. Established in 1999 in honor of the council’s first chairman, the award recognizes the best state rebate program each year. The Ohio PERC received the award for organizing a multi-faceted education program using the Propane Emergencies material. Working with a local public relations firm, its Making Propane Safer program customized the material for local use in communities, educating fire departments and the public and alerting them to a new training video and CD-ROM. To further spread their message, nearly 200 Ohio Propane Gas Association members volunteered to personally contact local emergency management officials, train firefighters and staff booths at fire rescue expos. Steve Farkas, who served as president of the Ohio PGA during the project launch, said the state association has been a longtime supporter of firefighter training. For example, it has helped out at the Northwestern Ohio Regional Volunteers Firefighters Association program that trains 1,700 firefighters on the campus of Bowling Green State University each spring. 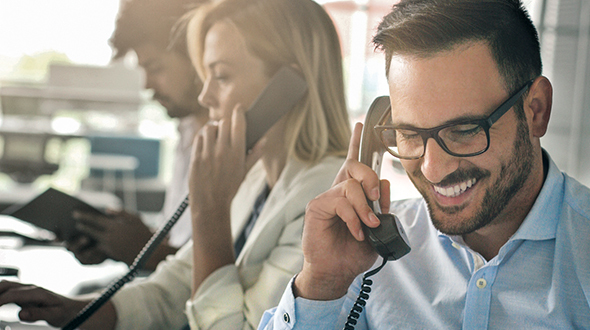 Before Propane Emergencies, however, the lack of a standard curriculum left the choice of training material up to each individual propane marketer. 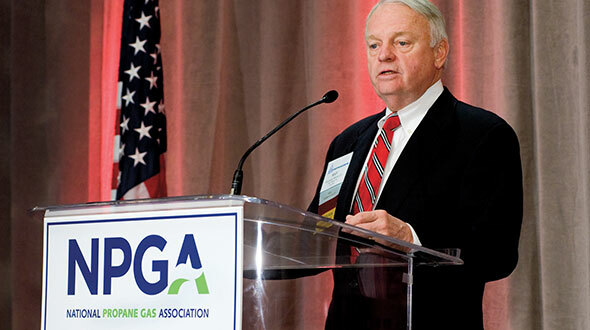 When the Ohio PGA joined the Ohio Fire Chiefs Association in 2000, it gave propane marketers access to key decision makers within the fire services. Farkas says the program has gotten high marks from the fire service community for how well the material is written and for its comprehensiveness in covering a wide range of safety-related topics beyond fire fighting. 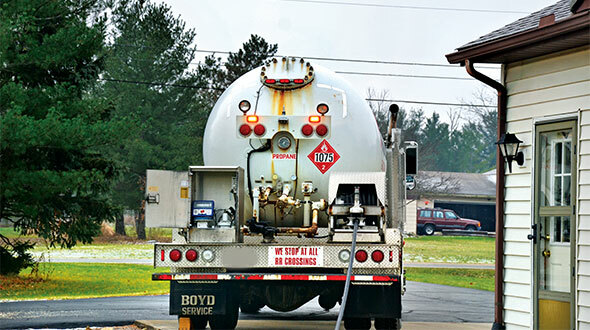 The safety training material in Propane Emergencies touches on many subjects, including truck rollovers, tank spills, pipe inspections, metallurgy and fire fighting. Just as important, he sees marketers reaching out to establish trust and good communications with the safety forces in their communities. “If you want to be part of an emergency situation and have your knowledge considered, you have to have that established long before the fire bell rings,” he says. In neighboring Kentucky, industry officials wisely leveraged the notoriety of Fire Prevention Week to plug the Propane Emergencies program. “We went back to the legislators who were instrumental in getting our state PERC passed and had them promote it at the local level where they spoke for Fire Prevention Week,” recalls Tracey Thurmond, executive director of the Kentucky PERC. Thurmond says the state fire marshall’s office was quick to embrace Propane Emergencies because it provides practical, hands-on material that goes beyond academic concepts. This year, state budget cutbacks prevented the state fire marshall’s office from funding the training. Up stepped the Kentucky Community and Technical College System – which serves as the training arm for the entire fire industry in state of Kentucky – to keep the program running. Despite its success, Gardner says much work remains to ensure the Propane Emergencies program fulfills its potential. Although there has been a surge in the number of propane marketers attending training sessions since the Sept. 11 attacks, program directors in most states still aren’t seeing support matching that of the fire services. Gardner says marketer representation accounts for about 25 percent of class attendance, up from just 5 percent before Sept. 11. Unlike the multi-state retailers who have separate safety directors to implement the train-the-trainer program, Gardner says the small mom-and-pop operator has trouble finding the time or resources to fully utilize Propane Emergencies. “It’s a good challenge for us moving forward. We have always targeted the marketer, but demand from the firefighters is so much greater. It seems they are always on the phone looking for more; marketers have lots of other things to do,” she says. “The challenge is to engage the already very busy marketers. Putting one more thing on their plate is always difficult because they already wear so many hats for their company,” concedes Gardner.